I just finished reading Cold Pursuit by Carla Neggers – good romantic suspense. I’m going to try All the Queen’s Men by Linda Howard next. .-= Jemi Fraser´s last blog ..Through Me =-. Sayers is always great, and I am looking forward to hearing more about the new Rendell. Even though Portobello was not her best, I am very impressed by her authorship. I have also thought about trying Sarah Waters as I have seen very good reviews of her books. .-= Dorte H´s last blog ..Down-sizing =-. That’s what I call a successful trip! .-= Beth F´s last blog ..Weekend Cooking: Chocolate Raspberry Squares =-. Whenever I have more than one thing on hold at the library, they all come in at once! You got some great looking books! Enjoy! Oh, I’ve heard fun things about The Childrens’s Book and Neverwhere. Enjoy! Wow! Those are some great books. Now I’m saving your post so I can go back and put some of them on my wish list. I think my son and daughter would love that Alcatraz one – thanks for mentioning it. .-= Janel´s last blog ..Jumblicious 3/19/10 =-. NEVERWHERE, FINGERSMITH and ALCRATRAZ are all a ton of fun! 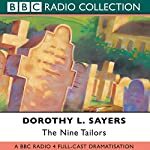 I love the idea of Sayers on audio, too; I imagine the witty banter would be wonderful that way. .-= Memory´s last blog ..The Sunday Salon: Once Upon A Time =-. Neverwhere is my favorite Neil Gaiman. I hope you love it too! I’ve always wanted to read one of those Sanderson books. As you say, how can one resist?!!! .-= rhapsodyinbooks´s last blog ..Sunday Salon – Review of “A Reliable Wife” by Robert Goolrick =-. P.S. I forgot to say, I wouldn’t call Fingersmith historical fiction at all. Maybe I’m mistaken, but my idea of historical fiction is fiction that is trying to bring an historical event or character to life by throwing in a fictional story to make it read less like history. I don’t know if all the historical fiction fans would agree, but in any event, Fingersmith isn’t that! Historical fiction is a sub-genre of fiction that often portrays fictional accounts or dramatization of historical figures or events. Writers of stories in this genre, while penning fiction, attempt to capture the spirit, manners, and social conditions of the persons or time(s) presented in the story, with due attention paid to period detail and fidelity. I guess the second sentence would apply to Fingersmith, but not the first. Both Fingersmith and The Children’s Book are on my TBR. I would love to read them but they aren’t that high up in priority. Boo! .-= Nicole´s last blog ..The Sunday Salon: Jury Duty Reading =-. Neverwhere is my favorite Gaiman, too! .-= Carrie K.´s last blog ..The Sunday Salon – March 21, 2010 (The “bookish-links-for-Saturday-on-Sunday” edition) =-. Looks like a great selection of books. I’m a big Gaiman fan, so I hope you enjoy Neverwhere. .-= Melissa´s last blog ..Book Reviews =-. I just finished Fingersmith about a week ago and will be surprised if you don’t LOVE IT!!! Get ready for a thrilling ride! .-= Kathleen´s last blog ..A $5 Million Reward Isn’t Enough? =-.